Follow the latest Iran news, videos, and analysis from ABC News. 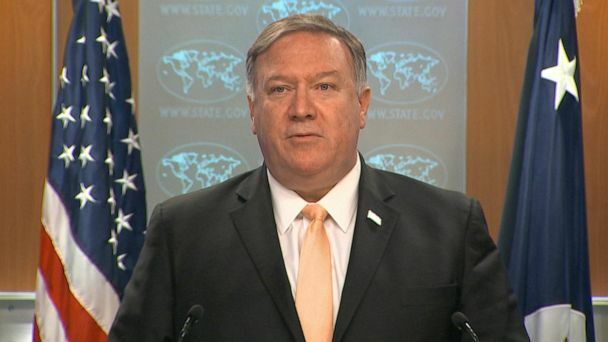 The U.S. is fully implementing sanctions on Iranian oil, potentially targeting any country that purchases it in a move that's meant to drive up pressure on Iran. 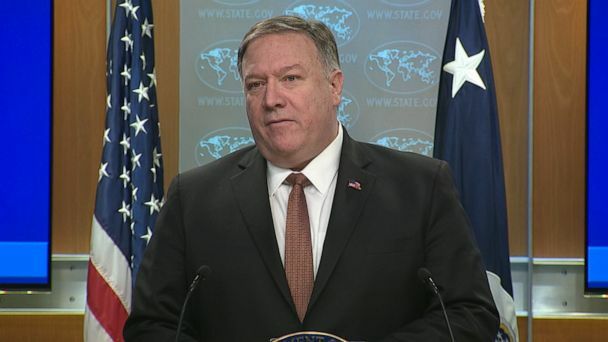 The end of waivers means countries that continue to buy Iranian oil will face sanctions, according to Secretary of State Mike Pompeo. The White House announced this week that they would designate the country's Revolutionary Guard as a terrorist group. 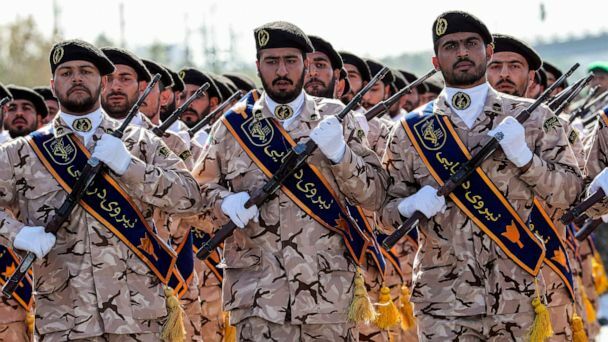 President Donald Trump has designated Iran's Islamic Revolutionary Guard Corps a "foreign terrorist organization." President Donald Trump on Monday moved to designate Iran's Islamic Revolutionary Guard Corps, a wing of the Iranian military, as a foreign terrorist organization. The semi-official Fars News Agency reported that in addition to those killed, at least 94 others had been injured in the floods. 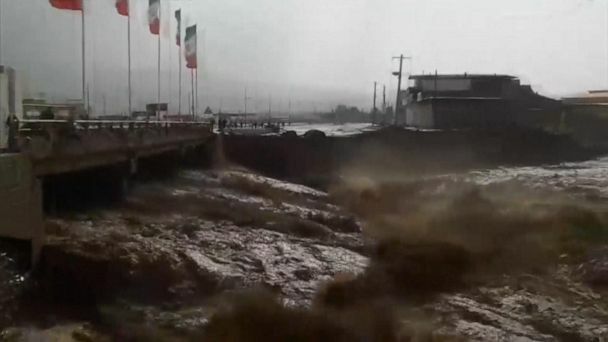 Devastating flooding inundated Iran, killing at least 19. The vice president said that if Iran does not change its behavior, the regime could see sanctions from the United States. A new book by a former hostage – and a recent flurry of tips – are giving new hope to the family of retired FBI special agent Robert Levinson that he may still be alive. DOJ charges former Air Force counterintelligence agent with spying for Iran. Tehran police also forbade driving with dogs in the car. "It was exactly what I was looking for for my son for years," the mother of a 24-year-old man with autism said. Michael White's mother, who just learned he was in prison a few weeks ago, said he'd traveled there in July to see his girlfriend. 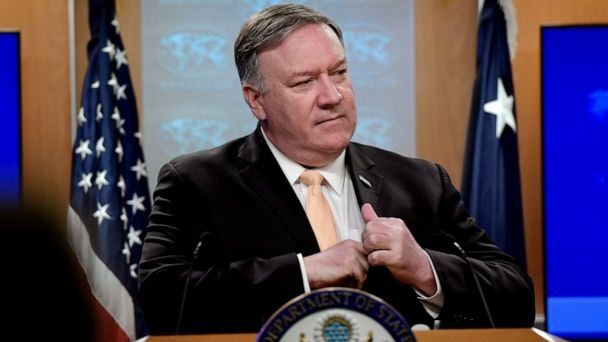 Pompeo urged the U.N. Security Council to "get serious" about Iran. 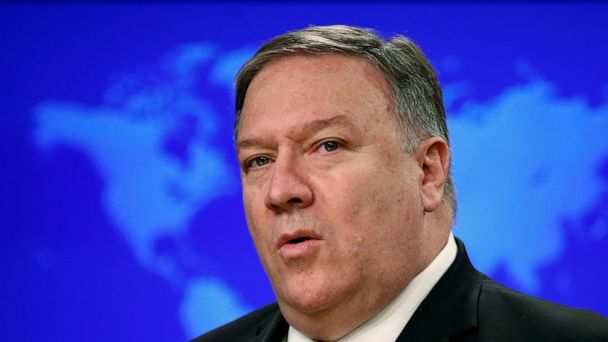 The U.S. will reimpose sanctions lifted under the Iran deal and add targets starting Monday, Secretary of State Mike Pompeo announced Friday. The first wave of U.S. sanctions suspended under the Iran nuclear deal snapped back into place at 12:01 a.m. Tuesday as the Trump administration tries to ramp up the economic pressure on Iran. At 12:01 a.m. Tuesday, the first wave of U.S. sanctions suspended under the Iran nuclear deal snapped back into place. 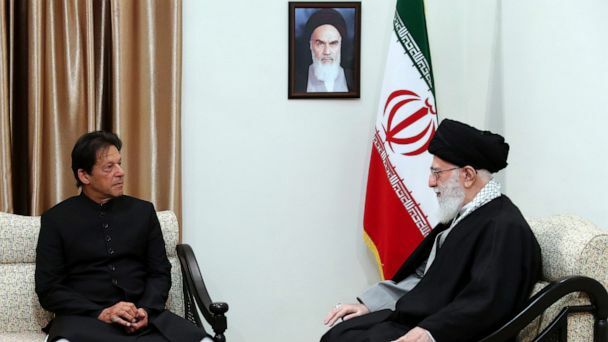 President Trump warned Iranian President Hassan Rouhani to "never ever threaten the United States again" after Rouhani cautioned Trump about enforcing increased American sanctions. She was arrested for dance videos which broke with required Islamic dress code. The book portrays a White House in chaos under President Donald Trump. The Israeli military says Iranian forces fired about 20 rockets into the Golan Heights from Syria, targeting its military in that Israeli-controlled region. The day after pulling the U.S. from the nuclear deal, President Trump issued a stern warning to Iran not to restart its nuclear program. Germany, France and the U.K. vowed to maintain Iran nuclear deal after U.S. leaves but plan to reimpose sanctions has created economic uncertainty for E.U. businesses. World reaction to Trump’s announcement that he is pulling the U.S. out of the Iran nuclear agreement highlights a split across America and between some of its allies. Jimmy Kimmel took a few jabs at President Donald Trump's latest policy decision. Trevor Noah said he understands why Trump wants to withdraw from the Iran deal. 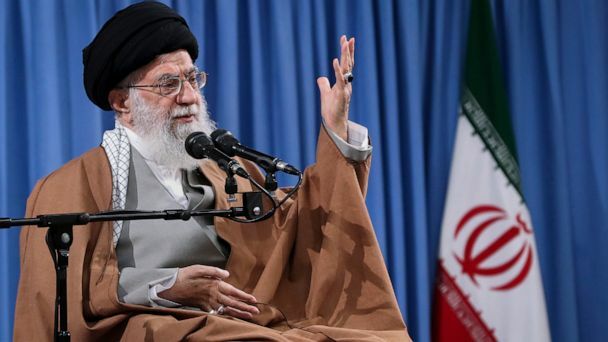 Iran's president warned that he'd ordered scientists to prepare to start enriching uranium again. President Trump has previously called the deal "insane," while European allies have lobbied him hard to stay in the deal. The judgment is largely symbolic. Benjamin Netanyahu said Israel has obtained thousands of Iranian documents detailing Tehran's past nuclear weapons development program.